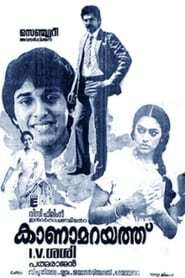 Kanamarayathu movie is based on a book daddy longlegs by jean Webster. The story is of an orphan girl (Shobhana ) who has an anonymous benefactor (Mammootty) who sends her to college. she communicates with him through her letters. when they meet, he recognizes her from the details in her letter but doesn't reveal himself. to make matters convenient, she is his niece's/sister's (Sabitha Anand) classmate.